Since the thirteenth century, Welsh Mountain sheep have been largely bred pure in the mountains of Snowdonia but more recently, some breeders are considering additional routes to enhanced flock income. Howard Walsh reports. Bred to survive in the harshest conditions on poor quality grazing, this comparatively small breed of sheep has a surprising ability to produce marketable light to medium-weight lambs with conformation consistently capable of attracting most processors’ base price or better. t is this characteristic which some breeders are now further exploiting for themselves and also promoting as an economic proposition for sheep producers in more lowland areas, via the breed society’s autumn draft ewe sales. 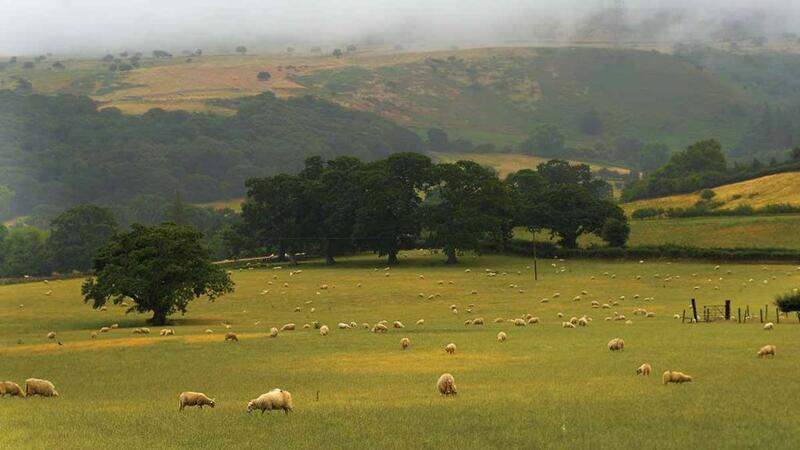 Tudor Williams runs about 450 Welsh Mountain (hill flock section) ewes on about 81 hectares (200 acres) of mountain, 16ha (40 acres) of in-by and the 31ha (76 acres) home farm, Rhydeidion Bach, Llansannan. 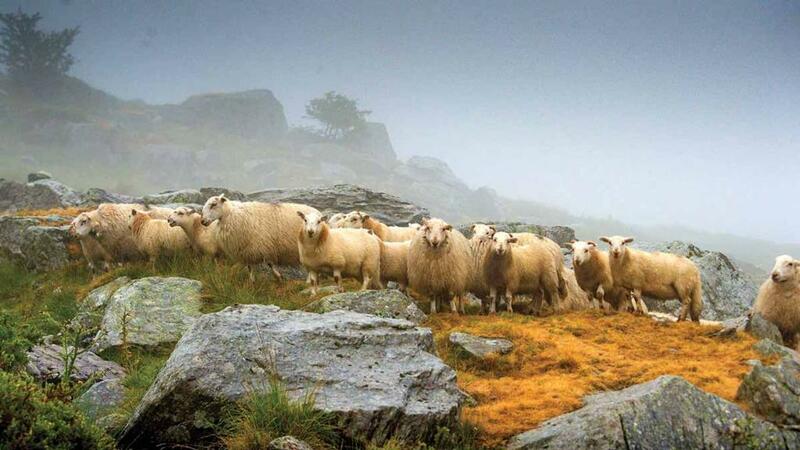 Although his is not one of the larger flocks, he is typical of these breeders crossing a proportion of their ewes to terminal sires on their lower ground while retaining a pure mountain flock. Mr Williams, who also has a small herd of pedigree Beef Shorthorns, says: “We put 80 to 100 ewes to the Charollais to lamb at the end of March and early April, whereas the mountain ewes lamb from April. “We sell three to four year olds as draft ewes through the auction, tending to go to a regular buyer, but keep some older ones ourselves for crossing. Although the Welsh Mountain ewe does not necessarily require much in the way of supplementary feeding, Mr Williams does offer some feed according to the scanning result. Ewes carrying cross-bred lambs are lambed inside and pure-breds outside. A small nucleus flock of about 50 of the best ewes is maintained for producing flock replacements, and rams to be sold as shearlings. “This year, as an example of how these lambs grow, we weighed some in mid-July when twins were weighing 32kg and singles 38kg, and these were out of ewes weighing just 44kg themselves. All his cross-bred lambs will be away well before Christmas with pure-bred mountain lambs running through until February. Daughter Mona also has a small number of her own pedigree section Welsh Mountains, a separate breed society which says its emphasis is on improving and encouraging the breeding of pedigree Welsh Mountain sheep. Glynne Jones is chairman of the Arfon branch of the hardy or hill flock Welsh Mountain Sheep Society. “I think there is considerable scope for breeders to sell draft ewes outside of the Society, where they can be bought for £40 to £45 and therefore represent a low-cost investment for a lowland farmer or perhaps a young entrant, to produce marketable cross-bred lambs on better grazing. “There is then the option of culling the ewe, in most cases having been farmed on better ground, for more than you paid for it, or retaining it to produce more prime lambs, or maybe producing Welsh Mules by the Bluefaced Leicester or Welsh Halfbreds to the Border Leicester. Betws-y-Coed farmers Ken and Elen Jones, together with son Hefin and his family, farm varying land types over more than 344ha (850 acres), ranging from lowland to a rented farm at Capel Curig which is the third highest farmyard in Wales, and including Hefin’s Bryn Ddraenan at Padog. They run a pedigree Limousin herd, and are also among those Welsh Mountain breeders retaining many of their draft ewes and putting them to the Bluefaced Leicester to produce Mule ewe lambs for the breeding sales, and ram lambs for selling on the hook at 20-21kg deadweight. 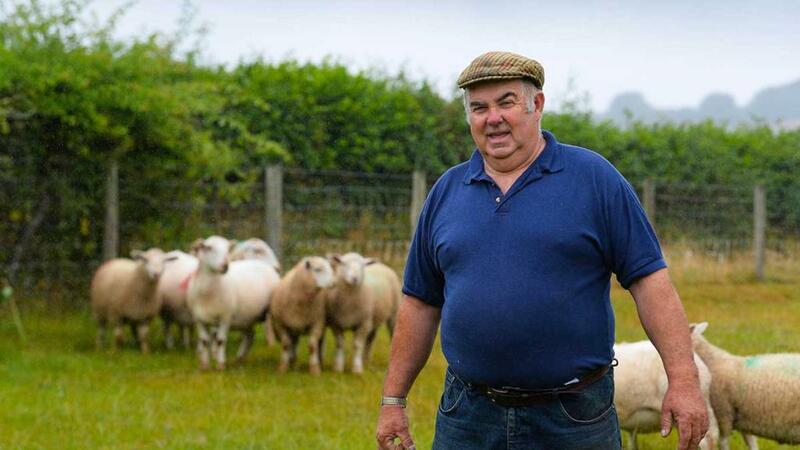 Hefin says: “We used to have some Suffolk and Texel cross ewes, but these were big ewes costing more to feed and leaving us no better off financially than the Welsh ewes put to the Bluefaced. He carefully selects those ewes which will best thrive on the mountain. “I like a ewe with width between the eyes, and one with a big deep rib cage as it must have the capacity to eat large amounts of the lower quality vegetation. “A major selection point is teeth. They must be properly under the pad and short. This is the type of mouth which will last and help it thrive up here with minimal cost. Hefin also points out that the conformation of the ewe is reflected in the lambs which, in the case of the pure-breds, will tend to be much flatter over the shoulder than would the lambs of some other hill breeds and typically grade ‘R’ on the hook. Ifan Rhys Williams finishes cross-bred lambs off grass on lower ground. While he acknowledges the benefits Glastir payments have brought to the farm in terms of enabling essential maintenance, constraints on upland grazing have put more pressure on the rest of the farm. Lambing in April, ewes with twins are sent to lower ground while singles are finished on severely disadvantaged area (SDA) land. 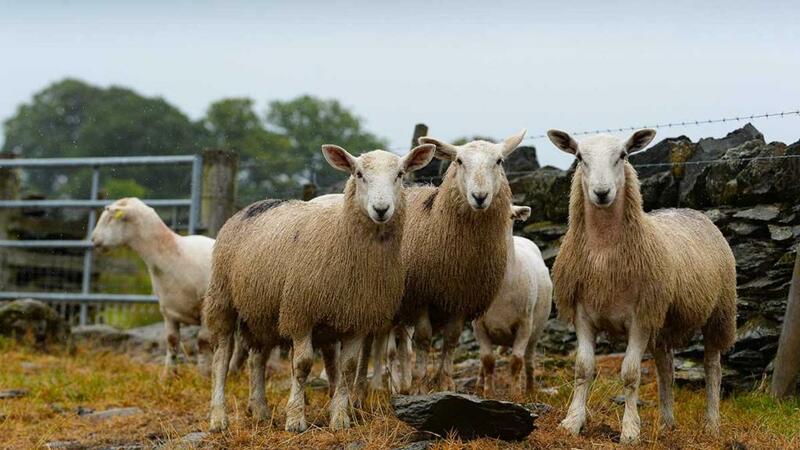 Ewe lambs by the Bluefaced Leicester are sold in the Llanrwst September sale, along with non-retained draft ewes, and Hefin estimates between 70 and 80 per cent of those ewe lambs will be tupped in their first year. Messrs Jones breed many of their own rams and Hefin likes to select those tup lambs off the mountain which are fat, indicating they are out of milky dams. Some 52 per cent of the 1,200 Welsh Mountain ewes run by Ifan Rhys Williams and his shepherd Ben Mildoon at Tair Meibion, Bangor are now crossed to Aberfield, Charollais or, to a lesser extent, Suffolk tups. Mr Williams has about 113ha (280 acres) of lowland and another 65ha (160 acres) of rough grazing but open mountain at more than 3,000ft is home for most of the year to the 48 per cent of his flock which are bred pure and where he has maximum grazing rights for 1,000 head. And it would be home to these sheep for longer were it not for grazing constraints on the mountain. Lambing starts in March, outside whenever possible, and the first slaughter lambs, sold on the hook, are drawn from the end of July onwards with some run round as hoggs. But Mr Williams’ kill sheets show a remarkable consistency in grading from start to finish. He also has data from previous years which shows these hoggs sold in January, attaining 21kg with a mix of Rs and Us. He uses very little artificial fertiliser and the cross-bred lambs are finished off grass on the lower ground, while the pure Welsh Mountain flock is turned back up the mountain after shearing until October. Although most of the ewe lambs go the same way as the tup lambs, apart from those which are retained out of the better Welsh Mountain ewes as replacements, Mr Williams is thinking of selling some of the Aberfield cross gimmer lambs as potential breeding sheep this time. He also does like to sell a few rams as shearlings in the mid-October sale. Eifion Williams who farms near Porthmadog is a past chairman of the Arfon branch of the Welsh Mountain Sheep Society (Hill Flock Section) and said his sheep did pay their way on the mountain, but he was also adding to his income by crossing the older portion of his flock with terminal sires. He also keeps some first cross ewe lambs for breeding which he says highlights the value of the Welsh Mountain as a base for crossing. “It contributes its milkiness, hardiness and longevity to practically any breeding flock,” he says. Messrs Jones' Bluefaced Leicester sired lambs. Gimmers are destined for breeding sales.